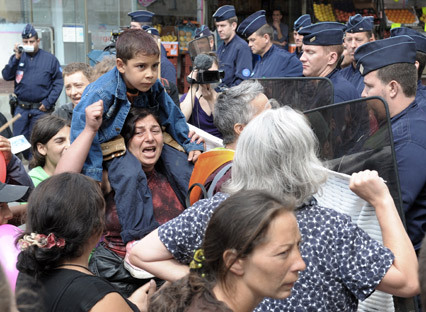 The Roma community in and around Marseille is the latest group at the receiving end of the steamroller tactics of the French gendarmerie, who on Friday began to expel thousands said to be living illegally in France. But our own government’s approach to immigration is hardly more progressive. Corin Faife examines the British tradition of how to do your dirty work with a smiling face.